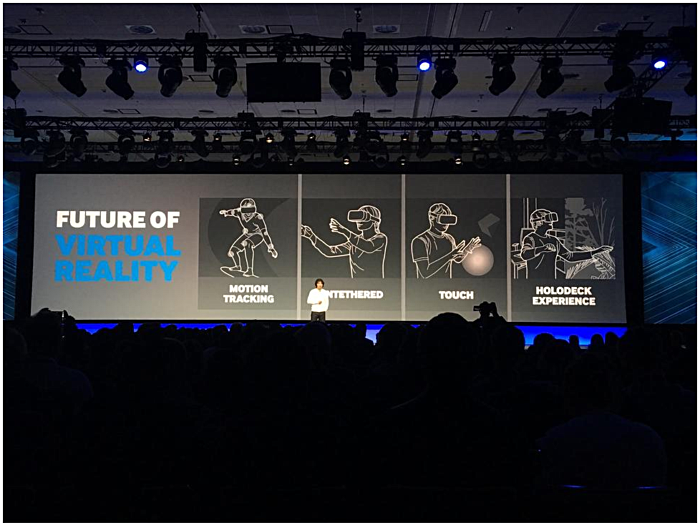 At its ongoing developer conference, Samsung confirmed that it's working on a standalone virtual reality headset - one that doesn't rely on a smartphone, PC, or a gaming console to function. The confirmation came from the South Korean company's head of R&D, Injong Rhee, who said that the device will feature positional tracking. He also noted that features like hand and gesture tracking for the headset are currently being explored, and could be supported in the future. The company's aim is to create a Star Trek-type holodeck. "You enter a holodeck, you're actually in a virtual world, interacting with all the virtual objects as if you're living there," Rhee said. "That's the kind of reality we're trying to create on these virtual-reality headsets." It's worth mentioning that there have already been reports that Google is also developing a standalone VR headset. This Concept will have to be under Parental Guidance, for children using the VR will be all over the room space, where they can get injured. ...The era of Virtual Reality is here!!! Hell yeah!! !